This award was now presented for the first time in Finland. The competition was open for everyone to participate by making a suggestion for the best company. Competition board went through all the suggestions and selected three companies for the finals. Theme for the year 2016 award was internationalization. Selected companies are international in different ways for example establishing affiliated companies, making international projects and business. Choosing the winner was a tough choice but after careful thinking Gasera was the one. Originally Gasera got started as a spin off company from University of Turku. As a technology company it uses its patented gas measuring technic with its market solutions. Gasera Ltd was founded by Professor Emeritus Jyrki Kauppinen with his son Doctor of Physics Ismo Kauppinen in year 2004. Today Gasera has 38 employees. In 2015 EU Horizon 2020 program granted 2,3 million euro funding for Gasera for develop and commercialize a portable device which can detect toxic substances, drugs, explosives and human trafficking. Gaseras vision is to bring laboratory standard portable gas measuring devices for the consumer markets in the future. More information www.gasera.fi. New members of Photonics Finland. Welcome! Emberion develops and produces graphene photonics and electronics that will revolutionise infrared photodetectors and thermal sensors in applications ranging from hyperspectral and thermal imaging to night vision and X-ray detection. Hypermemo Ltd is focused on Development and soon on manufactoring of Q-switched short-pulsed CO2 lasers. Our core technology – short-pulsed generator which can be extended on other types of lasers is a unique and innovative solution that opens business for CleanTech laser-based glass processing. Detection Technology design, manufacture and sell modular detection solutions empowering the imaging capabilities of the medical, security and industrial fields. Timegate Instruments is a spectroscopy developer, manufacturer and seller of the patented, Timegated® Raman spectroscopic technology i.e. spectrometers. It´s overall long-term objective is to become a solution provider and to provide fully calibrated analytical instruments for their customer needs. This years Optics and Photonics Days was organised in Radisson Blu Hotel, Oulu. Conference gathered 160 participants to hear about interesting presentations from the latest scientific breakthroughs and market solutions from the field of photonics. Scientific and industrial program was well managed and especially the panel discussion got a lot of positive feedback. During the event Photonics Sweden and Photonics Finland organised the Nordic Workgroup meeting. Main theme of discussion was to develop and strengthen the impact of workgroup collaboration between Nordic countries. The end result of the meeting was that development processes will be continued in Finland and Sweden and the next Nordic Workgroup meeting will be held during Northern Optics & Photonics conference – NOP2018, 12th – 14th of September 2018 in Lund University, Sweden. Next Optics and Photonics Days conference will be held in Jyväskylä in May or June 2018. Photonics Finland had an annual meeting on 30th of May 2017 and the new members of the board was selected. New Chairman of the board is professor Jyrki Saarinen from UEF and Institute of Photonics located in Joensuu. Vice Chairman Niklas Saxen, Edmund Optics Ltd.
Jyrki Huttunen, Oplatek Group Ltd.
Forest & Photonics 2017 brings together businesses, academia and developers to share new technological solutions, challenges and opportunities in the fields of photonics and forestry. 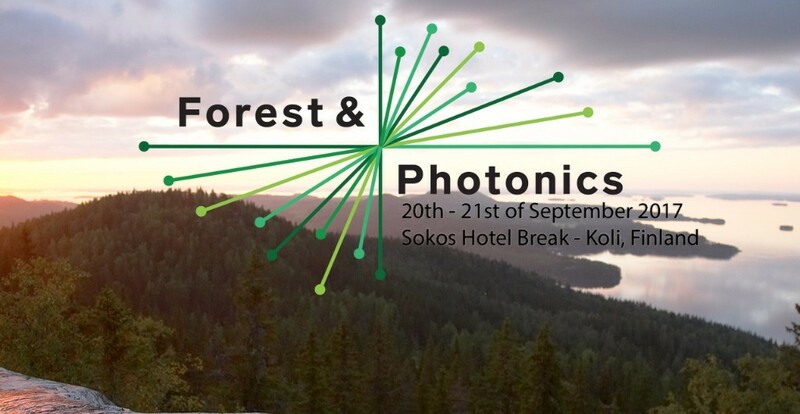 This year´s themed tracks are: Forest Data, Smart Machines and Photonics Future Technologies.This internationally acclaimed event will be hosted for the third time in the unique scenery of Koli National Park, Finland which offers the best networking possibilities combined with great evening program including relaxing spa, Finnish cuisine, jazz and much more!Registration is now open and you can do it here. Lund University, SwedenNorthern Optics conferences brings together optical scientists from the Nordic and Baltic countries. There will be two parallel sessions. One is devoted to presentations from academia and one to industry presentations. Keynote speakers will highlight European research and developments. A poster session will provide an additional opportunity to display to the most recent developments and achievements.An exhibition and a session with company presentations will be held in parallel to the technical sessions to provide industry, institutes and associations, an opportunity to display their products and services and bridge the gap between science and industry.The conference is organised by Photonics Sweden. More information about the event here. 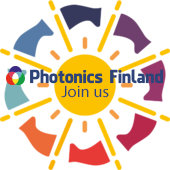 Photonics Finland is an association established to facilitate co-operation between companies, academia, public authorities and research institutions. It is open to all operators in the photonics industry and seeks to enable them to realise their full potential by supporting a variety of activities, ranging from basic research to product development and commercialisation.